THE FIRST DOCUMENTARY ABOUT THE CROWD REVOLUTION. 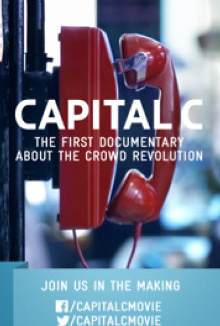 CAPITAL C explores a new breed of creators, geeks, and artists who cut out the middlemen to make their bold ideas a reality by reaching out to the crowd. With crowdfunding and crowdsourcing, now we all have tools in our hands that democratize innovation in a way we’ve never seen it before. CAPITAL C is about pioneers, it’s about hopes, dreams, and challenges, and ultimately it is about change made by us, the people, the crowd. 3 Comments. Add your thoughts.